The UN's climate change report calls for individuals to do their bit to stop the planet from overheating. Insight looks at where Singapore stands and what Singaporeans can do. If there is one thing the latest report by an international panel of scientists has highlighted, it is that everyone can do something to help the world avoid catastrophic climate change. Not just governments or businesses - but individuals, too. Whether it involves eating less meat, reducing food waste or using less power, the Intergovernmental Panel on Climate Change (IPCC) report released in Incheon, South Korea, last Monday emphasises that "behaviour change and demand-side management can significantly reduce emissions" and keep global warming to just 1.5 deg C instead of 2 deg C above pre-industrial levels. The United Nations-backed report, which took nearly three years to complete and involved 91 researchers from 40 nations, is the first to look in detail at the 1.5 deg C limit in terms of impact and what it would take to keep temperature rise at that level. In 2015, the Paris Agreement called for halting the rise in temperatures to "well below" 2 deg C, and to 1.5 deg C, if possible. At the end of the Paris conference, the IPCC was asked to prepare a special report on global warming of 1.5 deg C by looking at the latest science. The report cites more than 6,000 scientific references. Singapore was represented at the Incheon meeting by officials from the Ministry of the Environment and Water Resources (MEWR) and the National Climate Change Secretariat (NCCS), a unit under the Prime Minister's Office which coordinates the national effort to address climate change. The delegation was supported by National University of Singapore climate scientist Winston Chow, who is a lead author for the IPCC's sixth assessment report that will be published in 2021. The report has extra resonance for Singaporeans as 2018 is Singapore's Year of Climate Action - a nationwide initiative that aims to raise awareness on the need for people to take climate action. Indeed, Mr Louis Ng, an MP for Nee Soon GRC and an environmental advocate, says of the calls for individuals to act: "Because the issue we are tackling is so enormous, we sometimes forget that as an individual, we can make an impact. If each one of us reduces our meat consumption, uses fewer single-use items, and opts to use greener technology, it will help in our fight against climate change." But he notes that individuals sometimes need a push in the right direction. Implementing a levy on one-use disposable bags, which many countries have done, could be the first step to highlight the scarcity of natural resources, he says. Having the public sector set an example to reduce its use of disposables at events could be another strategy. It may not sound like much, but half a degree of warming would have significant impact on the climate, scientists say. If the world overshoots the 1.5 deg C target, the IPCC report warns, it would condemn economies and ecosystems to deadlier weather extremes, habitat loss, falling crop yields and ever higher sea levels. 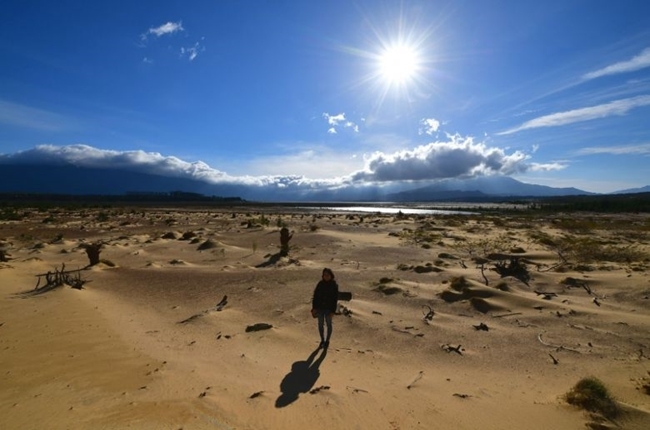 "Climate change will bring soaring temperatures, more intense storms, erratic rainfall, plummeting crop yields and a collapse of coral reefs in the Asia-Pacific," says Professor Benjamin Horton, chair of the Asian School of the Environment at Nanyang Technological University. "I strongly believe the region's future growth and security - as well as the welfare of hundreds of millions of people - are at stake." The IPCC report does not just sound the warning bells - it also lays out steps that societies have to take to limit global average temperatures to that crucial target. Four pathways are highlighted: Two focus on the role of capturing carbon from the air; while the other two emphasise the need for people, businesses and countries to reduce energy demand and make major changes in consumption habits. In the grand scheme of things, will the actions of an individual in tiny Singapore matter? The figures suggest they do. While the Republic contributes just 0.11 per cent to global emissions, Singapore ranks 26th out of 142 countries in terms of emissions per capita - higher than China, India and the European Union, which rank 41st, 100th and 140th in a 2015 report by the International Energy Agency. "This is largely due to our small size and dense population," notes the NCCS on its website. Under the Paris Agreement, Singapore pledged to reduce its emissions intensity (emissions per dollar of gross domestic product) by 36 per cent from 2005 levels by 2030, the same year it aims to have emissions reach a peak. Asked if these targets were planned with a 1.5 deg C or 2 deg C warming scenario in mind, a spokesman for MEWR says: "Singapore acknowledges the need to limit temperature rise to well below 2 degrees. Our (targets) were developed taking into account our constraints as a low-lying city-state with limited alternative energy options such as geothermal, wind or hydropower." For the Republic, a key strategy to meeting these targets is improving industrial energy efficiency - understandable, since the sector is responsible for 60 per cent of emissions here. Singapore has a raft of measures to help it achieve this, including investing and deploying solar energy, and implementing a carbon tax. The tax, to be levied on 30 to 40 large emitters that contribute 80 per cent of greenhouse gas emissions here, will kick in from next year. Singapore University of Technology and Design's transport emissions researcher Lynette Cheah, who is one of the review editors for the IPCC's upcoming 2021 Sixth Assessment Report, says Singapore has also moved to reduce transport-sector emissions. This is the country's second-largest source of emissions after the industrial sector, contributing about 15 per cent to total emissions. Assistant Professor Cheah points to investments in public transport infrastructure, or rebate schemes to encourage hybrid or electric vehicle ownership, as ways to help reduce emissions in the transport sector, but acknowledges more can be done in other areas. "We can improve our material recycling rates and pursue a circular economy to minimise resource use," she says. MEWR says it also recognises the importance of individual action and changing behaviours. Says a spokesman: "We have taken active steps to encourage climate-friendly behaviours such as practising the 3Rs (Reduce, Reuse, Recycle) and conserving energy. We also designated 2018 as the Year of Climate Action to raise awareness on the need to take climate action." However, according to independent research site Climate Action Tracker, Singapore's targets are not ambitious enough. In calling Singapore's targets "highly insufficient", the consortium of three research organisations, which analyses pledges made by countries under the Paris Agreement, claims on its website: "Singapore's climate commitments in 2017 are not consistent with holding warming to below 2 deg C, let alone limiting it to 1.5 deg C as required under the Paris Agreement, and are instead consistent with warming between 3 and 4 deg C."
Asked to comment on this, the MEWR spokesman refers to a recent report in trade publication Asian Power which also cited the website. In the article, an NCCS spokesman said the consortium's "methodology was largely based on various indicators relating to historical emissions, capabilities and development status". The NCCS spokesman also pointed to Singapore's limited access to alternative energy and lack of natural resources, saying Singapore had taken various steps to reduce emissions from energy production where feasible. But in view of this assessment, and the latest IPCC report highlighting the importance of changing habits, it appears that Singapore needs to do more to push people to take action. As Mr Michael Broadhead, a volunteer management officer of the Vegetarian Society Singapore, puts it: "Individual action is essential, as it is the culmination of the choices of billions of humans that has led to the scale of the environmental issues we have now." Case studies have already shown the positive snowball effects of individual habits. For instance, a drastic reduction in water use among residents of Cape Town, South Africa, earlier this year helped the city avoid a water crisis. In terms of carbon abatement, there are low-hanging fruit: taking public transport, buying energy-efficient appliances or not wasting food. But there are loftier goals too, involving lifestyle changes like eating less meat - a major point highlighted in the IPCC report. Mr Broadhead cites a 2013 paper from scientific journal Energy Policy which showed that eliminating meat from the diet reduces food-related greenhouse gas emissions by 35 per cent. He says: "While most of the world is taking action on decarbonisation, very few countries are addressing meat and dairy consumption. This is a recipe for climate disaster." People can also vote with their dollar. Ms Zhang Wen, executive director of the Singapore-based environmental group People's Movement to Stop Haze, which campaigns for better management of peatlands in Indonesia, says: "It is high time for individuals to collectively urge government to take leadership, buy from companies that are sustainable, bank with financial institutions that invest responsibly." The IPCC's warnings are clear: Act now, and fast, to solve this crisis. Action on all fronts - by businesses, governments and individuals - is imperative. Mr Ng urges people not to get disillusioned. Citing his own experience as an animal welfare activist before he entered politics in 2014, he says: "I was often told that as just one person, I can't make a difference. But I always replied with this quote: I'm only one but still I'm one. I cannot do everything but still I can do something. And because I cannot do everything, I will not refuse to do the something that I can do."